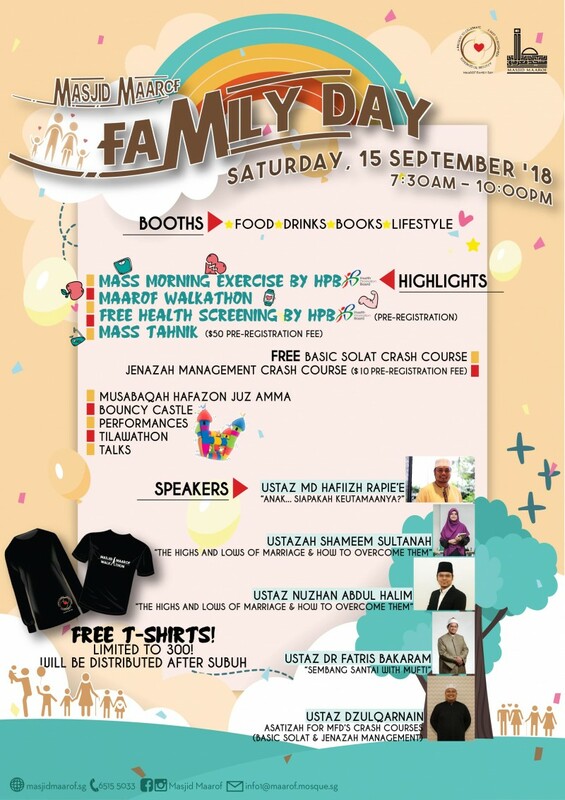 MFD2018 is our inaugural festival that aims to unite members of the community within Maarof Mosque's vicinity by encouraging participation in various activities that promote beneficial knowledge and exposure. There is a host of things to do for the entire family which include food stalls, lifestyle, educational programs, as well as other friendly entertainments. guests of this house are given the opportunity to appreciate and celebrate the existence of the mosque not only as a place of worship but as a hub for the community to benefit from rewarding programs. For more updates, visit our IG or FB page @ masjidmaarof!